Taurus and Virgo in particular can struggle with feelings of anxiety and are prone to being overly senstive - they can feel the slings and arrows of harsh words and rude behavior more deeply and for longer periods of time than most. Healing Green Aventurine has powers that grant us growth and lead us to abundance, helping us to deal with physical issues such as stress and tension, and specifically to sensitivities of the eyes and heart. "I am connected to the tree of life," is its affirmation, and its primary chakra is the Heart Chakra. 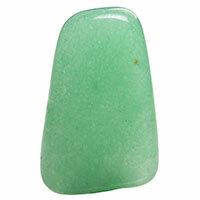 For anyone recovering from emotional trauma, focusing Green Aventurine's healing energy can help you to heal those deep wounds and lead you to reconnect with your inner self.